We are students and experts in medicine, pharmacy, nursing, eLearning and informatics from Africa, Asia, Europe and North America. We want to make everything you need for a safe and cost-effective drug prescribing understandable and instantly available at your fingertips. 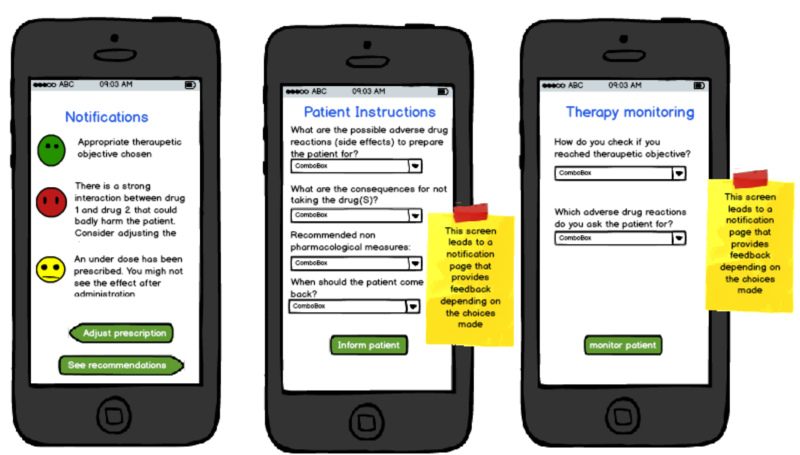 To this end, we are developing the PharmaFrog app. What is the target of a given drug and which physiological processes does it affect? Which drugs do I use to treat a given disease and why? How do I deploy drugs in specific, common clinical situations? 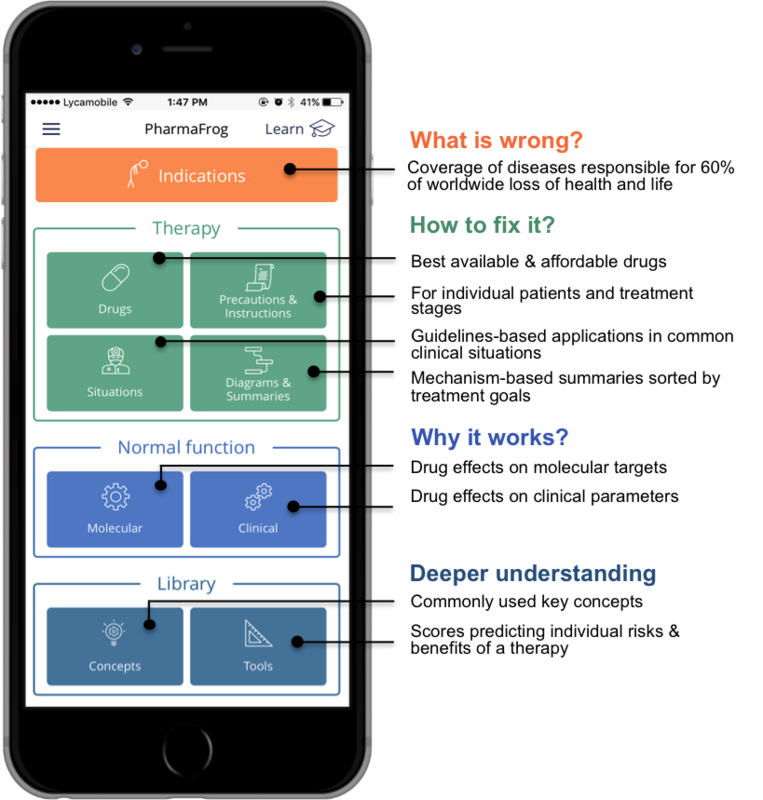 The Lookup functionality integrates everything you need to understand drug prescribing, from physiology through pharmacology to clinical medicine. First version available from app stores! Deployed in 44 of the most common clinical situations encountered during the treatment of 7 cardiovascular diseases, in agreement with the newest guidelines. Supplemented by disease-specific dosages and precautions. Explained through effects on molecular targets and on physiological mechanisms. The Learn functionality combines knowledge elements with element-specific questions automatically generated in millions of variants by the app. This results in short, interactive, and self-renewing units for self-learning. STATUS: Detailed concept and mockup developed. The Assess functionality uses automatically generated questions. The number of question variants is practically unlimited. It can be used in various contexts, from self-assessment through quizzes to institutional examinations. The Apply functionality provides training in adjusting treatments to the individual patient variables such as comorbidities and comedications. The number of scenarios is practically unlimited, as the variables are freely selectable. PharmaFrog is developed by a team of experts and students of medicine, pharmacy, nursing, anthropology and informatics from Africa, Asia, Europe and North America. Tax deductible. Contact us in advance if you donate via a business you own.